Welcome to Turbodyne Energy Systems Manufacturer & Exporter of Pollution Control & Industrial Equipments ISO 9001:2000 certified company, Incorporated in 2003, at Pune. We are Registered as SSI Unit and we are an Authorized reseller of ETFE coated ducting & Dust Collectors.Our prompt service, Superior design & unmatched after-sales service makes us unique. Our product range includes Steam Turbines, Industrial Fabrications, Dairy & Pollution Control Equipments.Bag Filter, Centrifugal Fan, Ice Bank Tank, Dust & Fume Extraction System are some of the features Dairy & Pollution Control Equipments. 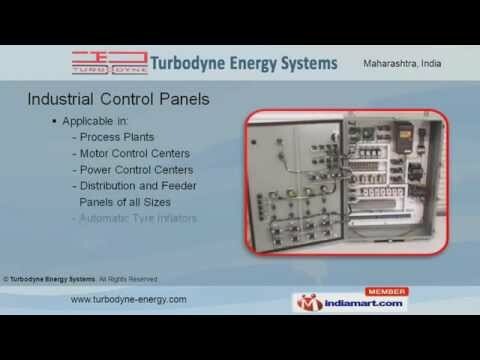 Our Industrial Control Panels are applicable in Process Plants, Automatic Tyre Inflators, Distribution and Feeder Panels.We offer Industrial Blowers & Fans that are high in performance and are widely used in different industries.Some of the well known features of Steam Turbines are Guaranteed Service Back, Corrosion Resistant, Sturdy Construction & Trouble Free Operation.We offer Heavy Industrial and Sheet Metal under Industrial Fabrication that are well known for their durability.